Have a question for Sun Suites Maldives Guraidhoo? Designed for both business and leisure travel, Sun Suites Maldives Guraidhoo is ideally situated in South Male Atoll; one of the city's most popular locales. From here, guests can enjoy easy access to all that the lively city has to offer. With its convenient location, the hotel offers easy access to the city's must-see destinations. Sun Suites Maldives Guraidhoo also offers many facilities to enrich your stay in Maldives Islands. To name a few of the hotel's facilities, there are Wi-Fi in public areas. 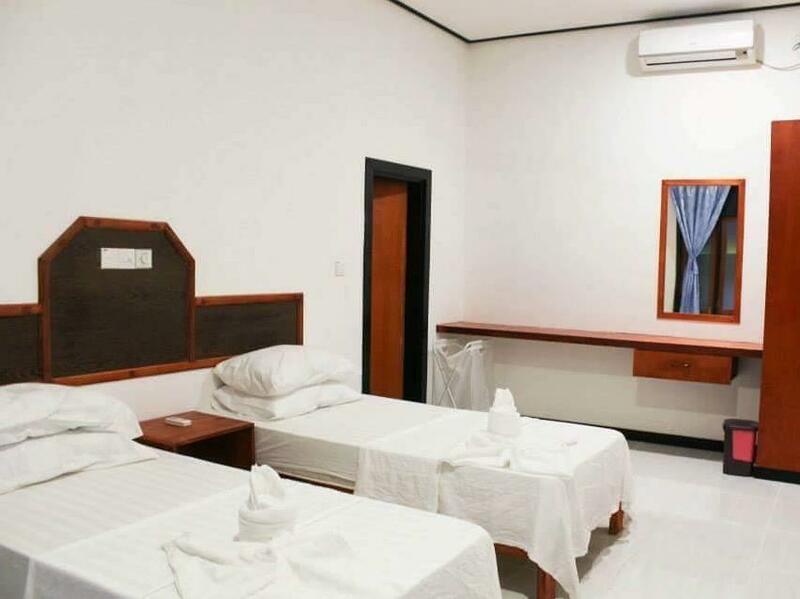 The hotel features 4 beautifully appointed guest rooms, many of which include clothes rack, mirror, television in bathroom, towels, air conditioning. The hotel offers fantastic facilities, including snorkeling, fishing, to help you unwind after an action-packed day in the city. When you are looking for comfortable and convenient accommodations in Maldives Islands, make Sun Suites Maldives Guraidhoo your home away from home.